Successfully saved Garlic Sautéed Spinach to your Calendar. You can also save the ingredients to your Grocery List. A super quick side that's good for you and tastes fabulous. It always amazes me how much spinach wilts - so this is a great way to consume ALOT of good nutrition with just a few bites! A terrific side for meaty mains. 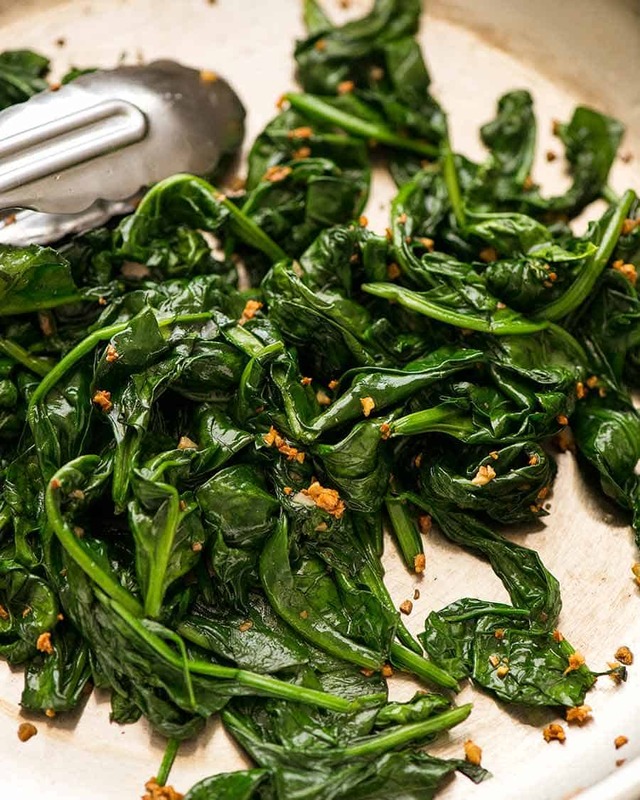 Try a classic steakhouse dinner with Prime Rib or steak, Paris Mash and this Sautéed Spinach!